Nautical Wood Maps. Treasured Keepsakes. 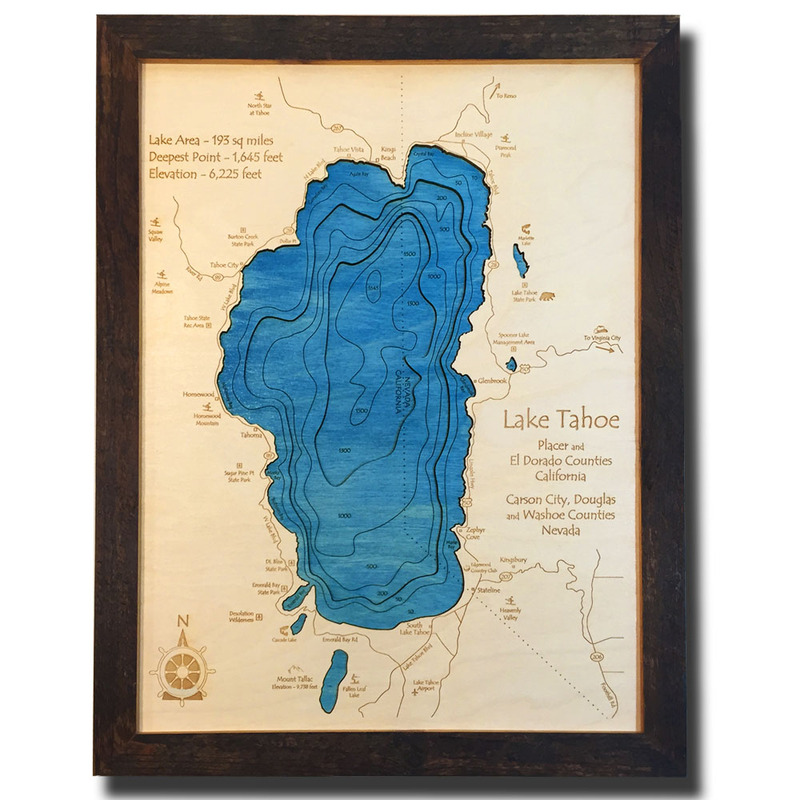 Captivating in its delicate detail, Nautical Wood Maps (often called Lake Art) are a 3D map replica of your favorite lake or coastal region. From your favorite coastline to that special lake in your life, thousands of waterways and products are available to choose from. Laser-cutters are used to carve intricate and interesting details in up to eight levels of relief. Map Art products are crafted using beautiful natural woods such as Cherry, Oak, Baltic Birch, and reclaimed woods. Offered in various pieces of art including Wall Art, Clocks, Cribbage Boards, Serving Trays, among others. Surrounding towns, roads, state lines and water depths give context and bring this unique piece of art to life. Think it. Create it. Customize our existing maps with special icons or sayings or we can create your favorite pond, lake, or waterway for you! We offer thousands of nautical map products of some of the worlds most iconic bodies of water. Find yours today!